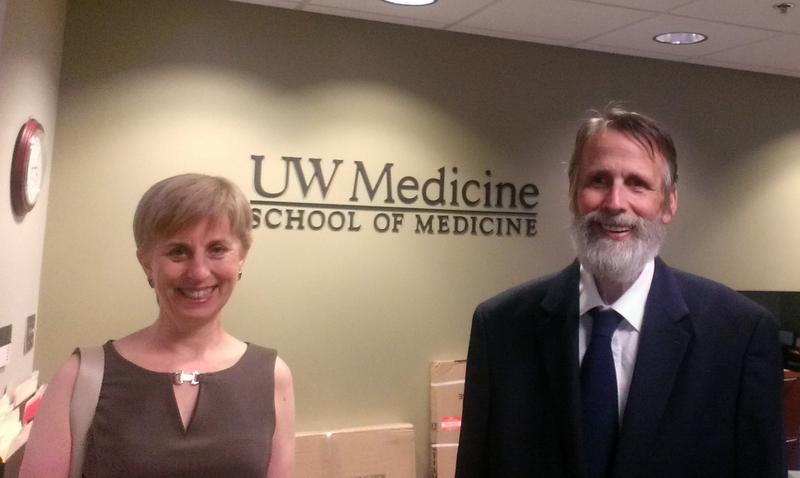 Amanda Strombom and Stewart Rose meet with the Dean of Curriculum at the UW Medical School. We are pleased to report that in response to our letter to the UW Medical School, we were invited to meet with their Dean of Curriculum, Dr Michael Ryan. He was positively disposed towards our recommendations, and is looking into ways to incorporate various aspects of vegetarian nutritional medicine into their new curriculum. We hope to have another meeting with him in the near future. This entry was posted in Uncategorized and tagged Dr Michael Ryan, University of Washington, UW Medical School. Bookmark the permalink.